While you’re busy working out, we’re busy working out our next bar hop (is this self care?). 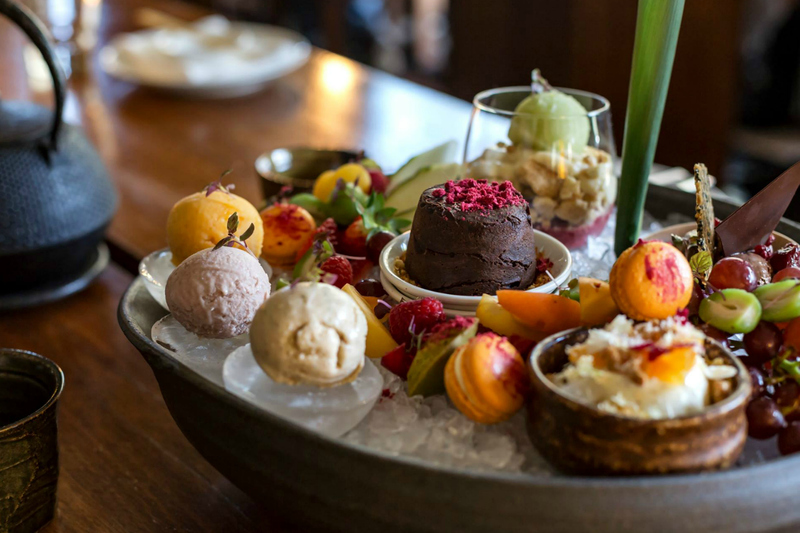 Whether you’re planning an epic cheat day, or believe that every day deserves a little lovin’ in the form of dessert cocktails and seasonal menus – this week’s foodie news will tickle your senses until you give in and get to going. Two’s company, and thanks to Matt Yazbek, it’s also a feast. The acclaimed Sydney restauranteur is bringing Japanese eatery, Toko Brisbane, to Howard Smith Wharves, as well as launching Lebanese fusion restaurant, Cubby’s Kitchen, at a yet to be determined location. Everything’s coming up Brisbane. The gift of the gab has let us in on Stanley Street’s newest digs, Gabba + Co. Taking over The Priory’s former home, Gabba + Co is set to be a multi-faceted haunt for locals, serving everything from breakfast to dinner and late-night drinks. Menu details haven’t been released, but you can expect to be indulging in modern Australian eats at some point this month! Huskk is planting its roots in Grange early October! This earthy, contemporary space will be open everyday for your fix of food that nourishes the soul. A strong focus on fresh, seasonal produce will shine through in an ever-changing menu, making for a place where you can sit down, eat humble. Gym, whatever – gin forever. The Gin Parlour will be hitting Miami Marketta as the new Thursday night place to be, starting September 20. Think gin-based cocktails, jazz, and eats from The Italian Job and Double T. It’s arm day, lift those drinks. To Infinite Dessert & Cocktail Bar, and beyond. Setting up shop at Palm Beach on September 28, you’ll be captivated by the likes of exploding meringues and dessert cocktails, amidst many more sweet treats that’ll be hard to beat. On the seafood diet? Seas the day at Sea to the City – Brisbane’s Bug & Oyster Trail on Sunday, October 7. As you make your way from the City Reach to Customs House, an afternoon of wining and dining on the seasons slickest seafood offerings will keep you satisfied to say the least. Just keep swimming. Launching September 20 until the end of December, Tanqueray Terrace will be setting the social season on fire at Brisbane’s darling Customs House. A lush, private greenhouse with spring-inspired G&T’s will be greeting you and your friends whenever you’re in the mood for gin (which is… always? just us? okay).